No matches today, in fact fire would be a very bad idea because today is UN International Day of Forests. 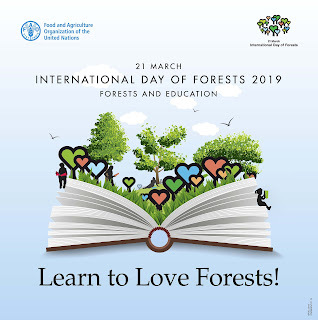 Each year the day has a different theme and for 2019 it's Forests and Education highlighting the importance of learning all about trees, woodlands and forests. 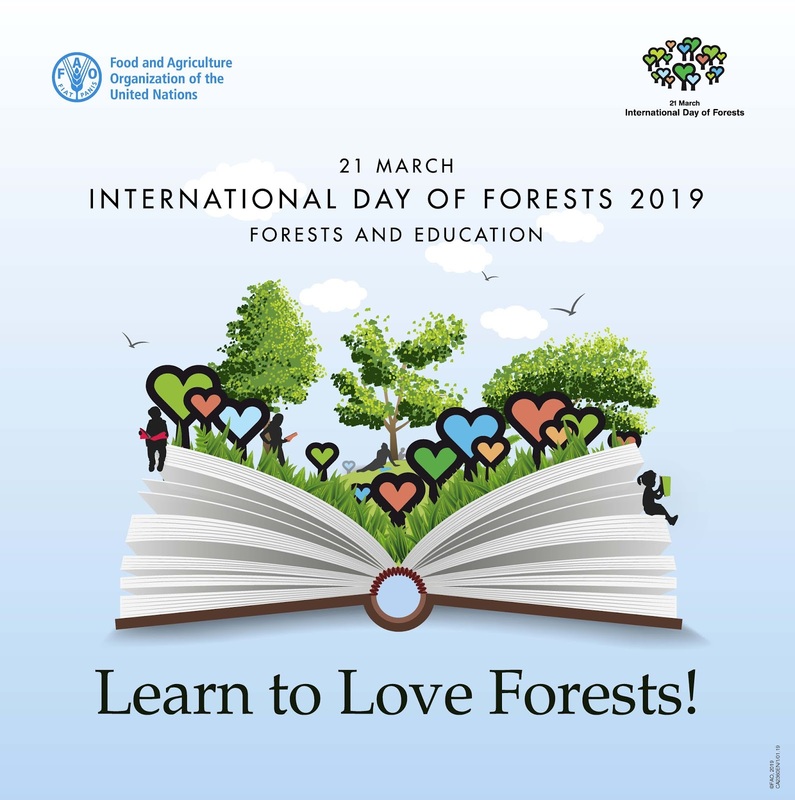 This year there are competitions for children: to design a t-shirt, for teachers: to submit a video to tell the world how you teach the importance of trees and for students: to teach others about forests. Find out more about the aims of the day and how to enter these competitions. If you're thinking of an arboricultural career then see which courses are currently on offer to give you a good grounding in the subject. In November 2017 the Royal Forestry Society wrote "Education and learning are the crucial building blocks to any successful forestry or countryside career." The article continues: "both a practical and a theoretical understanding hold equal importance and both are often a necessity" Read the article Forestry education and learning - building your career in full here. In the same CJS Focus edition (which you can download in full here) Dr James Walmsley, Senior Lecturer in Forestry at Bangor university outlined the different elements of forestry you're likely to encounter during your career working in the woods, he attempts to explain some of the roles available in commercial forestry and arboricultural work. He says: A love for trees and forests is almost universal and the fact that most people cannot tell you the difference between an oak and an ash does not detract from their widespread appreciation and enjoyment. Yet relatively few people consider going to university to study forestry, or conceive of the idea that one day, somehow they might actually get paid for the privilege of working for the protection, management and stewardship of trees and forests." Read his article here. If you're already employed as a tree officer, woodland warden or have anything to do with trees then you can find courses to refresh your technical certification and complete your CPD requirements here. And don't forget the children, you’re never too young to start learning about trees. This section includes a variety of training for environmental education leaders including forest school training, woodland activity leader training and similar skills, if you're taking part in a bush craft activity event it might even include those matches so be careful now!